Fun with Granny Squares - Learn two different basic designs that can be used to make a potholder, afghan, tote-bag, and so much more. This class is a perfect follow-up to Beginning Crochet. 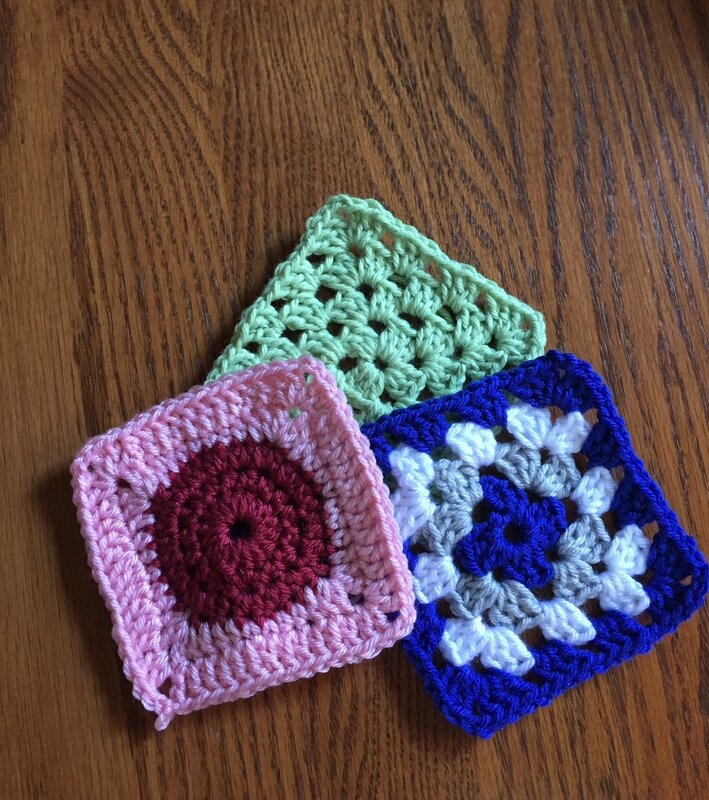 We'll make a couple practice squares in class and talk about projects you can make using Granny Squares when you know how to make them in case you want to pick out your next project.